laservision has developed a complete line of large area laser protection systems with well selected accessories. 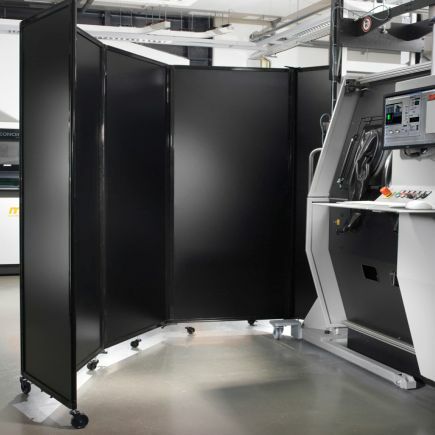 By means of these systems it is possible to create laser safe solutions for all applications requiring shielding of laser working spaces or public areas. The protection products differ from each other with respect to laser resistance, certification, mechanical characteristics and flexibility. Some of these systems can be combined with glass or acrylic laser safety windows. 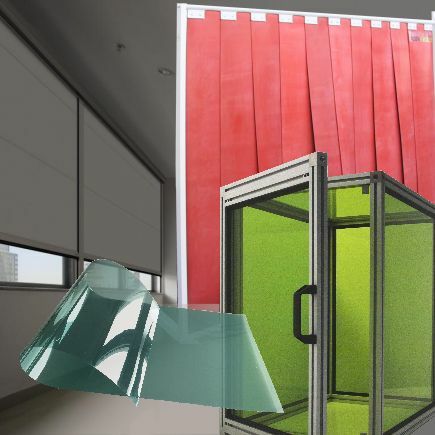 The most flexible and most popular solution to cover windows or larger areas are laser safety curtains. 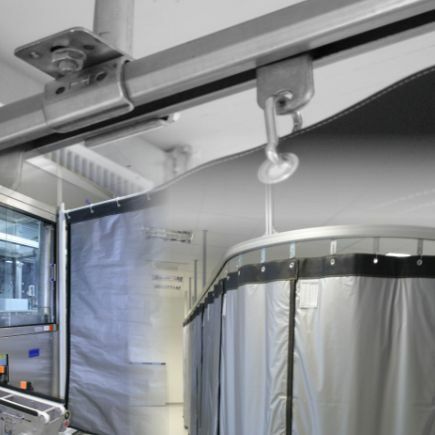 laservision offers them in different types (as single layer or multi layer) but also with additional coverage for clean rooms or laboratories with special requirements i.e. ESD. Based on the different standard dimensions also customized dimension are possible. 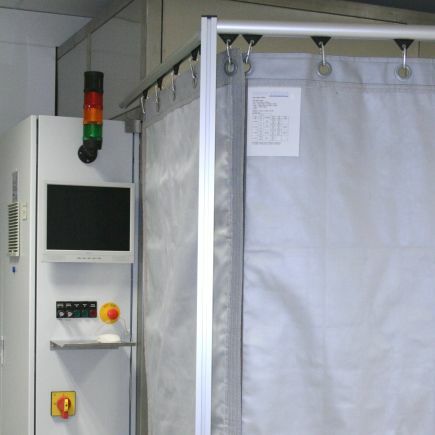 In contrast to laser safety curtains mobile laser safety barriers are the quickest solution. These are available with different numbers of segments as a linear extractable or free foldable system. For an individual arrangement the laser safety material is also available as panel material. In order to stay abreast of the increasing need of complete solutions laservision has developed a modular barrier system. It is characterized by a multitude of combinable standard segments. They can be used as barrier modules with different protection levels or as window segment (selectable between mineral glass or plastic windows). An extensive portfolio with further segments (swing door, sliding door, flexible corner joint, diverse foot systems and elements for wall and ceiling suspension) makes the offer complete. The large area laser safety program is amended with the possibility of customized products like laser safety films, laser protection roller blinds and laser protection boxes or domes.